Have you ever wondered, “where do dinosaurs fit in when it comes to the Bible”? Enjoy a fun filled week at The Pines Christian Church, learning what the Bible says about this fascinating subject . The week will focus on Biblical teachings on the subject, dinosaur themed foods/snacks, dinosaur themed crafts, games/recreation, music, and LOTS and LOTS of fun ! A staffed nursery/infant room will be provided, with classes being available from ages 2, to those going into 6th grade. Times will be 6:30 p.m.-8:30 p.m. If you have any question, please call 419-362-7866. Pines Christian Church is located at 6775 US 42, Mt. Gilead, OH 43338. 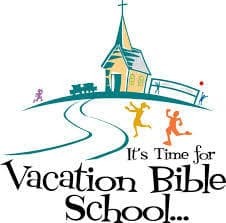 You can register online on the Facebook page at Walking With Dinosaur’s VBS @ The Pines Christian Church. Answers In Genesis: Guest Speaker Bob Gillespie speaking on July 16th, beginning at 7 p.m. (all ages are welcome).